There are a handful of destinations around the world that lend themselves perfectly to a driving holiday. Some of these, such as Australia, New Zealand and the USA, have been attracting self-drivers in their thousands for many years, whereas others such as Chile, Namibia and Iceland may be relatively new to the self-drive scene, but are no less inspiring. Then, looking closer to home, there's the likes of Italy, Spain and Portugal. Fun, Flexibility, freedom and the chance to take things at your own pace are all reasons why a self-drive holiday is such a popular and rewarding choice. 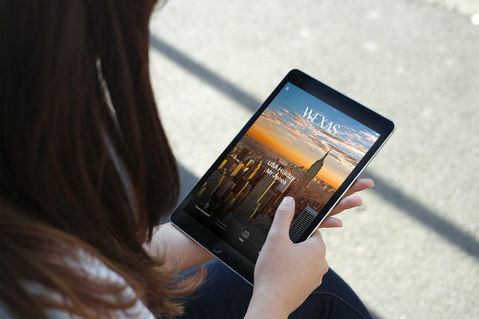 You'll have the chance to get away from the well-worn tourist trail, see the things you want to see and stop at the places you want to stop, creating your own unique holiday experiences and memories as you go. From the picturesque coastline of California's Pacific Coast Highway to the vast, arid landscapes of the Kalahari Desert, we take look at our favourite self-drive destinations, taking you on a journey along some of the world's most spectacular roads. Australia is a vast country, in itself the size of a continent with a mind-scrambling array of options when it comes to self-drive holidays. Whether it's the winelands of the Margaret River, the wilderness of Tasmania, the tried-and-tested East Coast or the remote, off-road ruggedness of the Kimberley, when it comes to driving holidays Australia absolutely delivers. 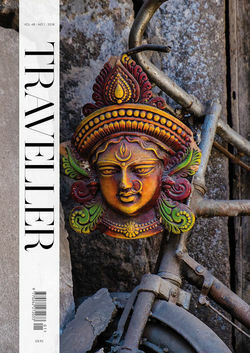 For first-timers, and indeed for seasoned travellers, there's one self-drive that sticks in the mind above all others. Built between 1919 and 1932 by returning World War I soldiers in honour of their fallen comrades, the Great Ocean Road has long been an icon of Australian travel – an absolute must-do amidst the plethora of must-do experiences on offer. 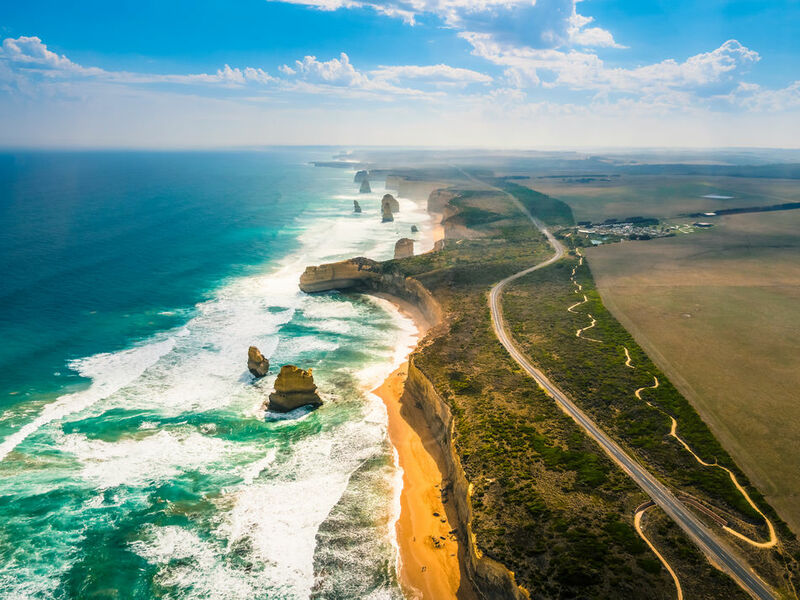 Home to the famed 12 Apostles – a spectacular coastal rock formation off the coast of Victoria in Australia's southwest corner – the Great Ocean Road winds its way along one of the country's most spectacular stretches of coastline. Begin your journey in Melbourne, a city renowned for its vibrant restaurant and entertainment scene, before heading south, stopping off at Geelong and the beautiful Bellarine Peninsula before arriving in the surf town of Torquay – the official gateway to the Great Ocean Road. From there it's a breathless 243-kilometre stretch of coastline to the small town of Allansford, passing towering cliffs, beautiful headlands, lush rainforests, gorgeous beaches and viewpoint after viewpoint offering the most amazing vistas of the Bass Strait and the Southern Ocean beyond. Namibia, while being one of the more off-the-beaten-track self-drive destinations, is also one of the finest. 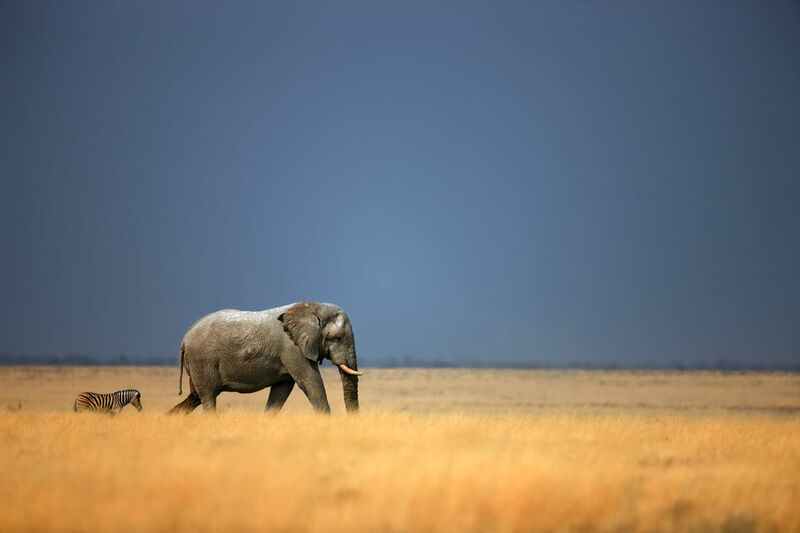 Sandwiched between the Atlantic Ocean to the west and the vast expanses of the Kalahari Desert to the east and combining wildlife, mountains, dunes and deserts, Namibia brings together awe-inspiring landscapes, ancient culture and some of the best wildlife viewing in southern Africa. A vast and easy-to-navigate road network connects the capital Windhoek with all the country's best-known attractions and a wonderful selection of accommodation, from luxurious lodges to cosy, family-run guesthouses. In a comfortable two-week trip it's possible to take in the best of Namibia's many and varied highlights. Starting in Windhoek, head south through the spectacular landscapes of the Kalahari and Namib deserts, taking the opportunity for some wildlife viewing at the NamibRand Nature Reserve – the largest private nature reserve in Southern Africa – and stopping off at Sossusvlei National Park, home to the eerie, skeletal trees of Dead Vlei and some of the world's highest sand dunes. From there, the main route heads north, through the lunar landscapes of the Kuiseb Canyon and on to Swakopmund – a Germanic colonial town on the edge of the Atlantic. Be sure to visit the Skeleton Coast, named for the incredible number of shipwrecks that litter the shore, before continuing your journey north to the stunning Damaraland Highlands and Twyfelfontein, where you'll discover ancient rock art set amidst desolate desert scenery. Finally, no trip to Namibia would be complete without few days in the Etosha National Park, a vast salt pan in the north of the country which provides a rare opportunity to encounter lions, leopards, elephant, rhino and more on a self-drive safari. The only problem? Namibia is the only country excluded on our complimentary self-drive offer. Self-drives and South Africa go hand in hand. Whether you're heading to the country's scenic southern coast, the world-renowned Kruger National Park or the rugged mountain landscapes of KwaZulu Natal, the country's abundance of attractions, high standard of accommodation, superb infrastructure and relatively light traffic make driving here a joy. South Africa's most popular self-drive – the Garden Route – begins in the iconic city of Cape Town before heading through the beautiful Winelands towns of Franschhoek and Stellenbosch, where fertile valleys play host to the country's finest vineyards. From here you can head along the more northerly Route 62 – best travelled between the months of November and May – to the villages of Montagu, Ladismith and Oudtshoorn, set amidst the sweeping valleys and mountain landscapes of the Klein Karoo. Alternatively, between June to October, there's the option of taking a southerly route to the picturesque coastal town of Hermanus, one of the best spots in the world for whale watching. 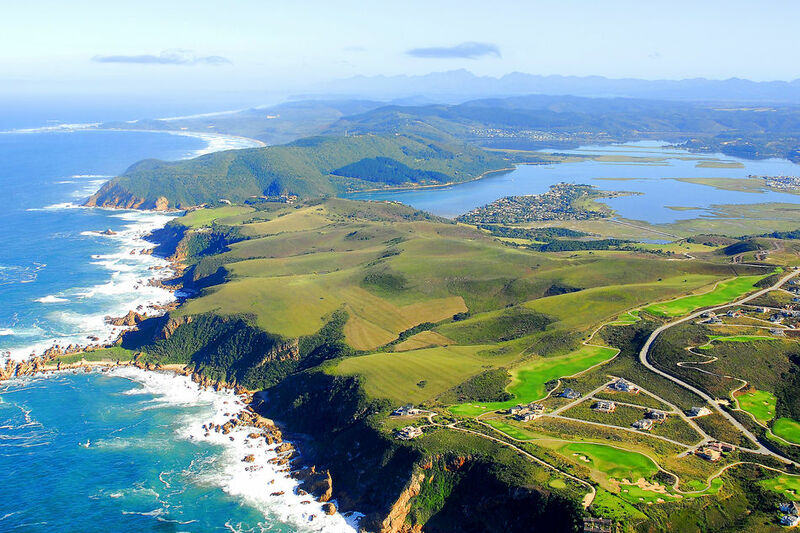 From here it's onto the Garden Route itself – a spectacular 300-kilometre section of coastline whose name conjures images of the gentle rolling hills of the English countryside, but in reality plays host to some of South Africa's most beautiful, diverse and often spectacular scenery. As you drive eastwards, past the pretty seaside towns of Mossel Bay, Knysna and Plettenberg Bay you'll encounter a world of deserted sandy beaches, sheltered lagoons and wild bushland, set against the dramatic backdrop of the beautiful Tsitsikamma Mountains. From the eastern end of the Garden Route the road continues on to to the town of Port Elizabeth, from where it's possible to visit one of the Southern Cape Game Reserves, offering some of the finest wildlife viewing in South Africa. When you think of Chile, a self-drive holiday might not be the first thing that springs to mind and certainly not one that takes you through the remote wilderness of Chilean Patagonia. But ,while challenging in parts – a 4WD is a must – the route known as the Carretera Austral, which stretches 1,200km from Puerto Montt in the Chilean Lake District to the remote town of Villa O'Higgins on the edge of the Southern Patagonian Ice Field, offers up one of the world's most breathtaking self-drives. 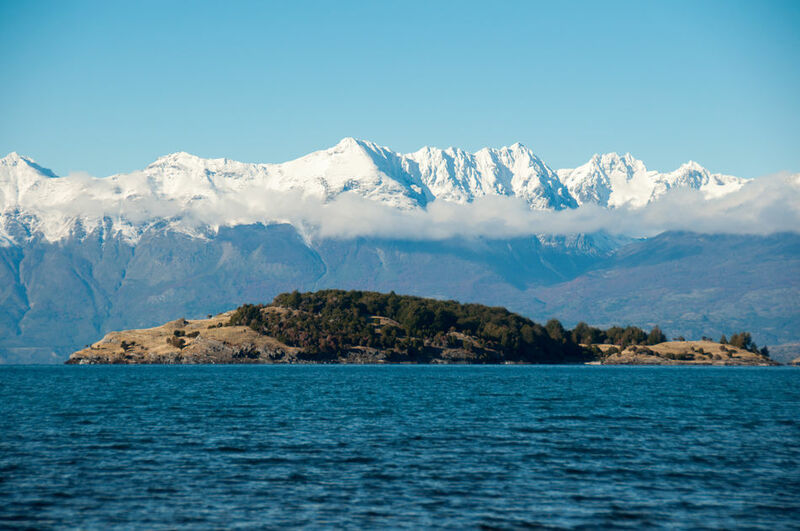 The most popular driving routes on the Carretera Austral take in either the northern section from Puerto Montt to the city of Coyhaique, or a southern route that runs from the town of Balmaceda – a two-hour flight south of the capital Santiago – to Caleta Tortel and on to Villa O'Higgins via the spectacular expanse of Lago General Carrera – the deepest lake in Latin America. Following the path of the Rio Baker, the route passes seemingly endless swathes of Chilean beech trees, along with the ubiquitous herds of guanacos making their way across the vast plains of the Patagonian Steppe, a huge expanse of grassland set against the jaw-dropping backdrop of soaring Andean peaks. As the journey continues southwards, the road eventually reaches the town of Caleta Tortel, where the Rio Baker spills out into a deep Pacific fjord in the heart of the stunning Laguna San Rafael National Park. From there it's just a short hop south to Villa O'Higgins at the very southern end of the Carretera Austral. 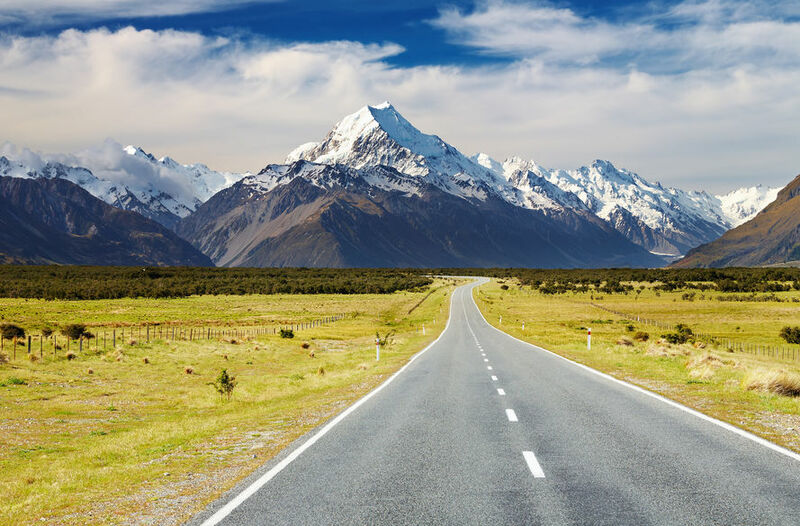 Small but perfectly formed, Aotearoa – the Land of the Long White Cloud – has everything you'd want from a holiday behind the wheel. Lively yet charming cities, a beautiful coastline, vast mountain ranges, unique wildlife, great food, a perfectly maintained network of easy-to-use roads and a distinct lack of people outside of the main cities all come together to create a sort of self-drive utopia. Perfectly set up for both the car and the motorhome – the latter adding an extra element of freedom, especially in the high season between November and April when it's almost mandatory to pre-book hotel accommodation – the self-drive options in New Zealand are almost endless, making it hard to focus on one particular route. A comprehensive network of depots and a good choice of car hire firms allow you the freedom to drop off and pick up cars and motorhomes in almost any town or city, making it easy to travel between islands by either flight or ferry. Indeed, if time permits, it's certainly worth exploring both the North and South islands, making the most of the winelands and beaches of the north along with the mountains, fjords and glaciers of the south. All the while, you can take the time to explore the very different cities of Auckland, Wellington, Christchurch and Queenstown along the way. You'll also have the chance to indulge in any number of outdoor pursuits, including whale-watching, swimming with dolphins, hiking, rafting, jet boating and a remarkable array of hair-raising adrenaline sports for which New Zealand is famed. The USA could well be considered the ultimate self-drive destination, a country where the car is king and the road trip is a way of life, immortalised in films and novels, such as Jack Kerouac's classic On the Road and the intriguing John Steinbeck travelogue Travels with Charley. Some of the world's best-known roads can be found here, including Route 66. Known as the Main Street of America, it stretches an incredible 3,940-kilometres from Chicago, Illinois to Santa Monica, California, snaking its way through the heart of the American Midwest. Other notable journeys include Highway 385, a spectacular 200-mile adventure through Big Bend National Park in Texas, taking in some of the country's most dramatic canyons and desert landscapes, or the Great River Road, which follows the path of the Mississippi from Louisiana to the Canadian border, passing through ten states including Tennessee, Minnesota, Kentucky, Illinois and Iowa. It offers a fascinating insight into life along one of the great American waterways. 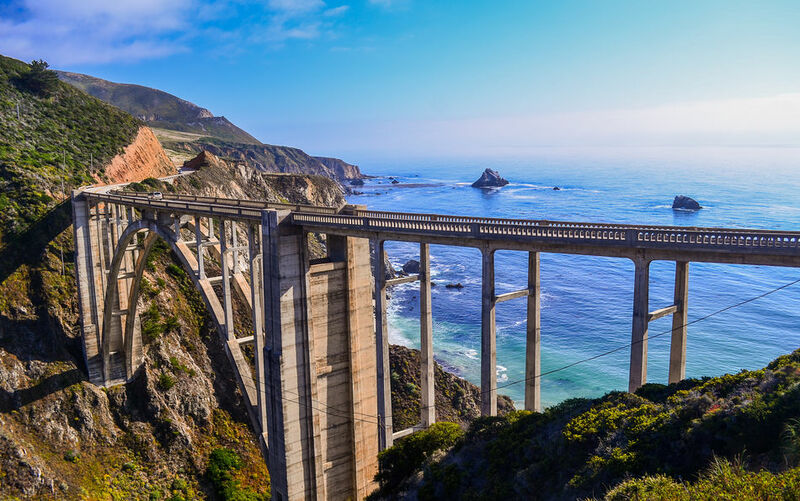 Perhaps our favourite USA self-drive, however, is the 270-mile scenic coastal drive from Los Angeles to San Francisco. Taking in the characterful towns of Malibu, Santa Monica, Santa Barbara, San Simeon and Carmel, this cliff-hugging route follows the line of the Pacific coast, passing mile after mile of spectacular landscapes including the mountainous region of Big Sur and the golden beaches of the Monterey Peninsula. Although part of the United States, Alaska offers something so different as a destination that it deserves its own mention. There's few places on earth that can offer match the drama and beauty of this enormous state – by far the largest in the USA. Towering mountain ranges, spectacular glaciers and vast forests characterise the topography here and the roads, despite the harsh winters, are in good condition and enjoy very little in the way of traffic. In two weeks it's possible to take in plenty of Alaska's attractions. 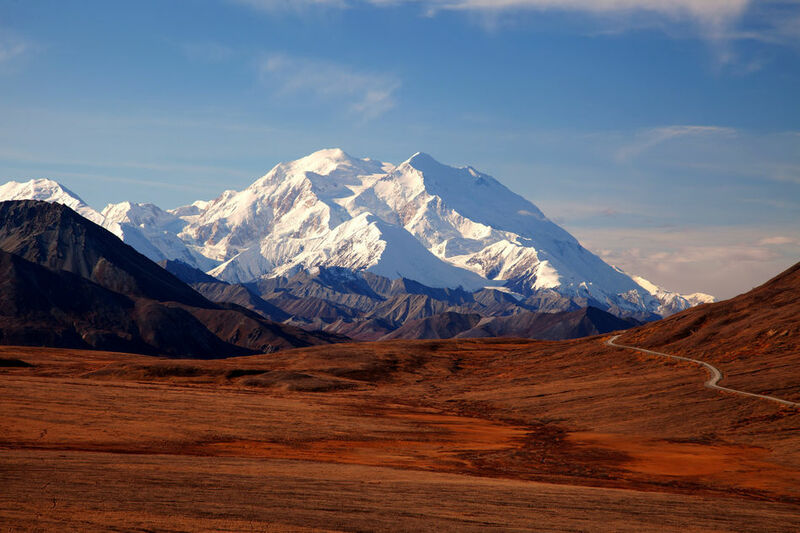 Starting in Anchorage, head north along the scenic Glenn and Park highways to the stunning Denali National Park, home to Mount McKinley – the highest peak in North America – and also one of Alaska's best wildlife viewing spots where you'll have the chance to see moose, caribou and grizzly bears. From here, the journey continues north to the vast Alaskan interior and the former gold rush city of Fairbanks. Continue your drive into the heart of Alaska's wilderness along the aptly named Alaska Highway to the remote town of Tok in the east of the state, close to the Canadian border. It's then possible to continue your journey into Canada or return to Alaska's south coast and the state capital Juneau, located in the beautiful Gastineau Channel and just a short flight from spectacular Glacier Bay – home to an abundance of marine wildlife. 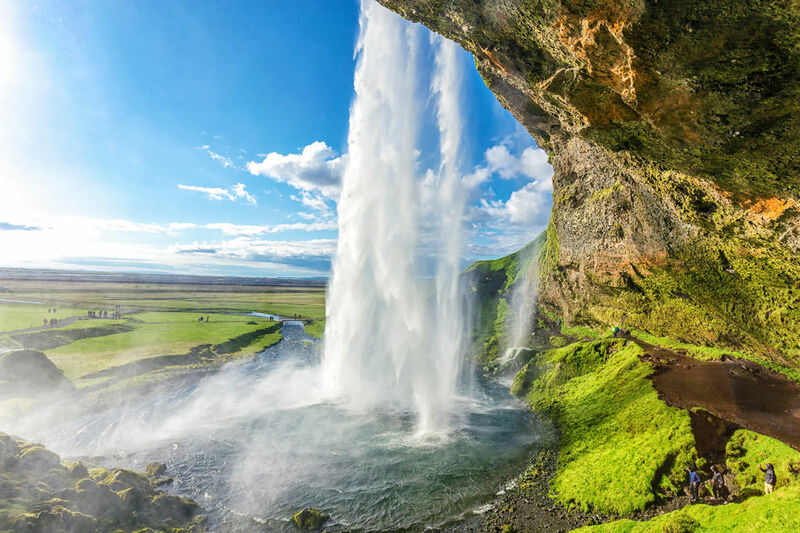 Iceland – a burgeoning self-drive destination – features some of the most spectacular geological features and landscapes anywhere on Earth. It also has the advantage of being just a three-hour flight from the UK, making it delightfully accessible. Relatively small in size and population but huge in terms of attractions, Iceland ticks all the boxes for a great self-drive holiday. Roads tend to more or less deserted away from the main towns, which are few and far between, and there's an impressive selection of accommodation, even in the more remote locations. A weeklong self-drive through Iceland's Golden Circle and southern coast takes in active volcanoes, thermal pools, vast glacial lagoons, giant waterfalls, black lava fields and the original geyser, all of which go towards making Iceland a wonderful and truly unique destination, which deservedly takes it's place on our list of the world's best driving holidays. Tuscany – the name alone evokes images of endless vineyards and farmhouse kitchens that dish up simple recipes perfected over generations. 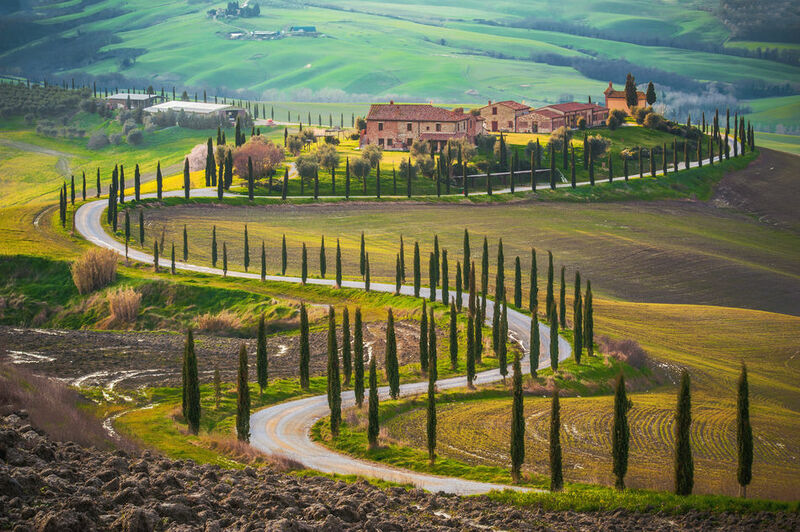 It’s all knitted together by Italy’s most scenic drives; ribbons of road map the lazily contoured hillscapes, each fresh horizon silhouetted with those iconic cypress trees. What’s more, if you time your trip right and head off the beaten track, you might only be sharing the highway with the local farmer’s ancient fiat panda or put-putting vespa. And, given the region’s perfectly fertile aspect, each pit stop will be greeted by a new delicacy. Whether it’s lavishly dressed bruschetta, rich liver pâté or a simple antipasto of cured meats, you’ll be well looked after. Of course, you’ll wash it down with vineyard tasting sessions. Then, on the Tuscan coast, you’ll be treated to just-caught seafood, along with gorgeous roads that link idyllic beaches. Among the rural beauty, there’s also a certain handsome urbanity. In the likes of Volterra and San Gimignano walled medieval towns cap its hills while sad old Pisa’s fading merchant houses still dream of their maritime republic riches, a contrast to Lucca’s Renaissance good looks and Siena’s Gothic wealth. Then there’s Florence – the Birthplace of the Renaissance. Here, a rabbit warren of medieval laneways leads between masterpiece galleries and grand basilicas, each more impressive than the last. 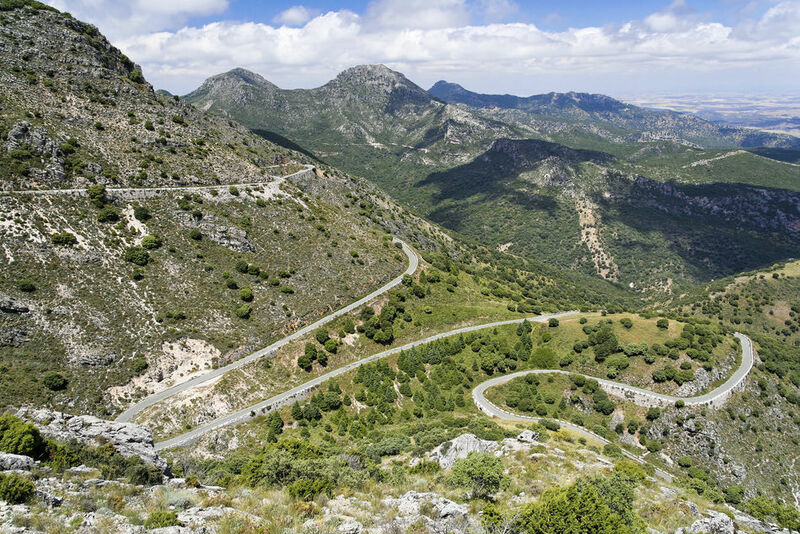 From its rolling mountain foothill to the severe beauty of the gorge-dotted Spanish plains, Andalucia delights with some of southern Europe’s finest drives. A fifth of its land is given over to natural and national parks, with the towering, snow-dusted peaks of the Sierra Nevada – Spain’s highest range – spilling down into great undulations of endless farmlands. Pit stops are made at charming hill towns, each uniformly whitewashed and capped in terracotta rooftops. You won’t struggle to find a somewhere for a hearty paella or the regional delicacy – jamôn ibérico. However, it’s the city greats that impress the most. Here, Andalucia’s unique heritage plays out across Renaissance treasures and Moorish wonders alike, bearing witness to the region’s cultural diversity. Indeed, boundaries are often uniquely blurred, something best seen in the palace-fortresses of Granada and Málaga or the mosque-cathedrals of Seville and Córdoba. Stucco minarets have been converted into grand bell towers, imposing citadel walls hide opulent sultans’ quarters and frescoed chapels sit side by side with great prayer halls. 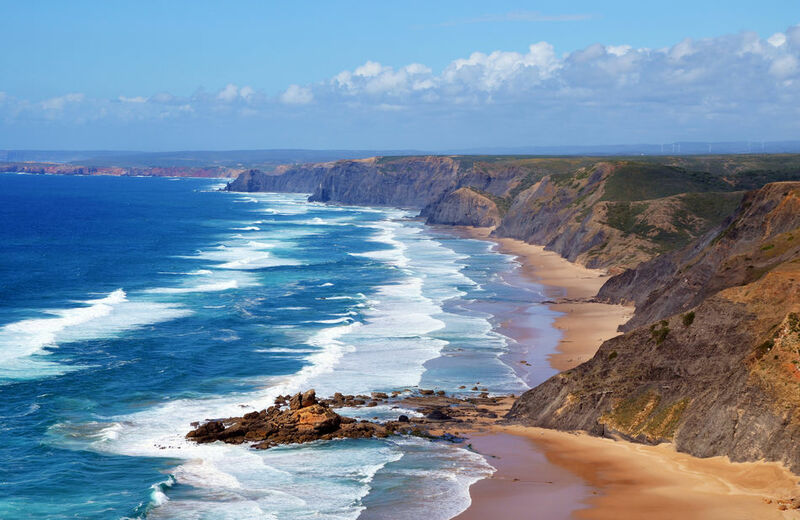 In the breaths between gorgeous white sands and, yes, resort favourites, the Algarve features some truly sublime driving routes that are often unfairly overlooked. Sweep along a spectacular coastline of golden curves and cragged bays as you call into quiet fishing villages before turning into the region’s verdant interior. Here, you’ll often be the only car on the road, with wildflower-lined hills and river-plied valleys covered in those iconic cork trees. The lesser-visited west coast is a particular highlight, with mountain peaks carpeted in old-growth forests that cloak secret spa towns. But it’s not just the idyllic natural world that impresses. Perhaps enticed by the Algarve’s seemingly endless supply of sun, everyone from the Romans to the Moors have left their mark in grand villas and evocative whitewashed towns. You’ll even be able to stay right among the region’s heritage with its pousadas – a network of heritage hotels that range from near-ancient castles to historic palaces.